TM originates from the Vedic tradition of knowledge of ancient India. This broad-based tradition is widely recognized as the oldest living tradition of knowledge on earth and encompasses a wide diversity of areas including Yoga, Ayurveda (healthcare), Vastu (Vedic architecture), and Gandharva Veda (music). Perhaps you’ve been practicing the Transcendental Meditation technique for several months and have enjoyed greater happiness and calm in your life. Now you want to know more about its origins and what distinguishes it from other practices. Recently Enlightenment asked Dr. Thomas Egenes, an associate professor at Maharishi University of Management and a Certified Teacher of the Transcendental Meditation technique, to answer your questions. Q: Where does TM come from? Dr. Egenes: The Transcendental Meditation technique comes from India, from a deep, profound source called the Vedic tradition, which is thousands of years old. The word “Veda” means knowledge. The Vedic tradition is widely recognized as the oldest living tradition of knowledge on earth, maintained continuously and passed down from teacher to student. It is a broad-based tradition of knowledge encompassing a wide diversity of areas. Just to name a few, it is the origin of Yoga, Ayurveda (healthcare), Vastu (Vedic architecture), and Gandharva Veda (music). To maintain this age-old tradition, four seats of knowledge were established in India by the great Vedic scholar, Shankara, thousands of years ago. Maharishi is part of this ancient heritage, having studied with the leading custodian of Vedic wisdom (Shankaracharya) from the northern seat of knowledge. Maharishi first brought this knowledge to the West in 1959 when he started his first of several world tours teaching the Transcendental Meditation technique. Q: Since Transcendental Meditation and the knowledge of transcending was contained in this original expression of knowledge—the Vedas—does that mean it is connected to a religion such as Buddhism or Hinduism? The ancient wisdom of transcending through the TM technique can be validated in three ways: through personal experience, through modern scientific research, and through the ancient texts, which have been passed on since time immemorial. Dr. Egenes: Actually, the Vedas predate these religions. The rich, profound knowledge contained in the Vedic literature has been drawn upon for inspiration by literally hundreds of schools, religions, and philosophers on every continent throughout history. 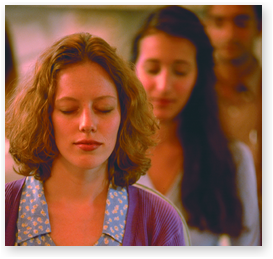 Today, people from all religions and cultures around the world practice the TM technique to experience inner peace and happiness, whether they are Christians, Jews, Muslims, Buddhists, Hindus, agnostics, or aetheists. This ancient wisdom of transcending through the Transcendental Meditation technique can be validated in three ways: through personal experience, through modern scientific research, and through the ancient texts, which have been passed on since time immemorial. Q: What are some personal experiences of transcending? After meditating, you may find that you are spontaneously happier and healthier, and life is more fulfilling. Millions of people have reported similar experiences—that after meditation their mind is more calm, their body healthier, their emotions more positive, and behavior more harmonious since starting the TM technique. Q: How is this subtle experience of transcending validated by scientific research? Dr. Egenes: When Maharishi introduced TM to the West, long before anyone had conceived of a mind-body connection, he encouraged researchers to study the effects of meditation on mind and body. Maharishi predicted that measures such as EEG, heart rate, and breath rate during meditation would be distinctly different from measures taken during the well-known states of waking, sleeping, and dreaming states of consciousness. In fact, he predicted that the mental technique of TM produced the experience of a completely distinct fourth state of consciousness. The first physiological study on the TM technique was conducted at UCLA by Dr. Keith Wallace and published inScientific American and other journals in 1972. By studying EEG, breath rate, and heart rate of subjects while they practiced the TM technique, Dr. Wallace found physiological evidence of this fourth state of consciousness, which could also be called a state of “restful alertness”—“restful,” because the physiology is in a deep state of rest, and “alertness,” because the mind is wide awake. Maharishi predicted that measures such as EEG, heart rate, and breath rate during meditation would be distinctly different from measures taken during the well-known states of waking, sleeping, and dreaming states of consciousness. In fact, he predicted that the mental technique of TM produced the experience of a completely distinct fourth state of consciousness. 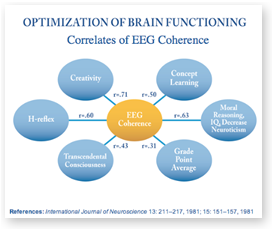 This groundbreaking research by Dr. Wallace, and subsequent research on increased EEG coherence (orderliness) of brain activity, shows us how the fourth state of consciousness experienced during the TM technique is a unique state of consciousness, as evidenced by Alpha1 waves observed throughout the brain during Transcendental Meditation, with the highest concentration in the pre-frontal cortex. The brain waves become synchronous, which means that the brain is more coherent and integrated, with the different parts working together like a symphony orchestra. This results in better memory, increased creativity, increased intelligence, and emotional stability as shown by research. In subsequent research sponsored by the National Institutes of Health and top research universities, we’ve seen that the practice of the TM technique results in decreased anxiety, decreased cortisol (the stress hormone), decreased blood pressure, decreased insulin resistance, decreased insomnia, and a lower risk of heart attack and stroke. At the same time, research shows an increase in happiness, well-being, productivity, efficiency, and success. Q: Can you explain how transcending is validated by the ancient Vedic texts? 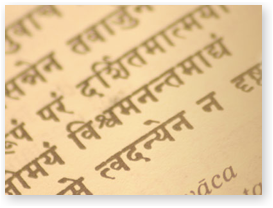 Dr. Egenes: The literature from the Vedic tradition, called Vedic literature, is a vast body of knowledge. Here are examples from three ancient texts that Maharishi often quoted in his lectures. From the Yoga Sutras: “Yoga is the complete settling of the activity of the mind.” This key phrase is perhaps the classic definition of Yoga, or union. While physical stretching (as taught in yoga classes in the US) is a part of the practice of yoga, in the Vedic tradition, the actual state of Yoga is defined as the complete settling of the mind. For many Western scholars, this state appears mystical or elusive, but for those practicing TM, it is a daily, personal experience and, as we have seen, has been reported in widely published research studies as well. In the literature on Yoga, this state is referred to as Samadhi, a state of pure awareness, or Transcendental Consciousness. It is pure wakefulness, devoid of any content such as thoughts, feelings, or perceptions. The Upanishads describe the fourth state of consciousness at great length and as different from waking, dreaming, and sleeping. In the Upanishads this state is called Turiya Chetana, or the fourth state of consciousness, often referred to as the Self (with a capital S, to denote the universal Self). For example, in this passage “The peaceful, the blissful, the undivided is thought to be the fourth; that is the Self. That is to be known,” specific characteristics are given for this fourth state of consciousness: it is peaceful, it is blissful, and it is undivided, meaning that it is an experience of unity. There is no object of attention, just the Self knowing itself. It’s important to note that the experience of the fourth state of consciousness happens innocently during meditation, often without us even noticing it. It’s not a matter of trying to be calm, or trying to feel relaxed. This is one of the major differences between TM and other techniques—there is no conscious effort required because the natural tendency of the mind is to transcend. Without effort, you experience a deep state of pure consciousness during meditation and naturally enjoy its many benefits throughout the day. 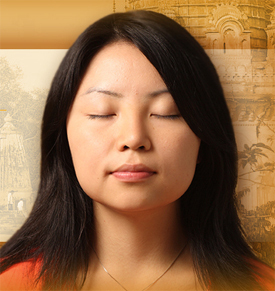 Effortlessness in meditation and spontaneity of benefits are two of the key principles of Transcendental Meditation. Q: Does the Vedic literature discuss benefits experienced outside of meditation? that world and those desires he wins. Q: What about regularity? Do the Vedic texts discuss the value of experiencing this fourth state of consciousness on a daily basis? All of the benefits described in the Vedic literature and confirmed by modern scientific research result from regularity of practice. And the rewards are great. Thomas Egenes, PhD, is an associate professor of Maharishi Vedic Science at Maharishi University of Management and author of seven books, including The Upanishads: A New Translation, co-authored with Dr. Vernon Katz, Tarcher/Penguin, 2015.